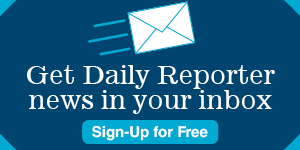 The Daily Reporter hosts seminars and roundtables throughout the year on different construction- and development-related topics. Below is an archive of our most recent events. Aaron Popkey, Director of Public Affairs at the Green Bay Packers speaks about Green Bay’s new Titletown District at the Daily Reporter’s Construction Summit in Kohler, Wisconsin. Members of Wisconsin’s construction and law communities attended The Daily Reporter’s Competitive Advantage Breakfast Series on Nov. 22 in Brookfield. Topics included labor law and overcoming the construction industry’s labor shortage.